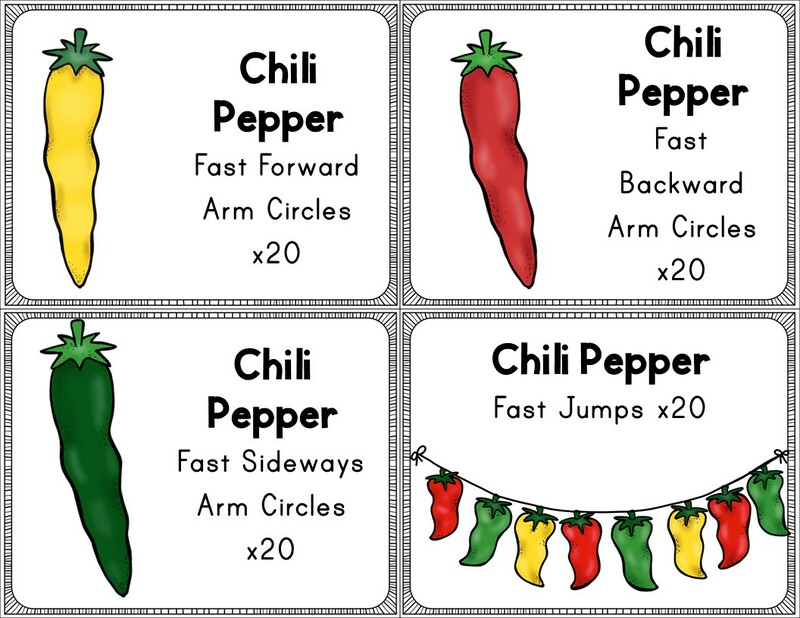 40 Movement Cards With a Cinco de Mayo Theme. Designed to be fast, fun, and efficient with a fun Cinco de Mayo theme! 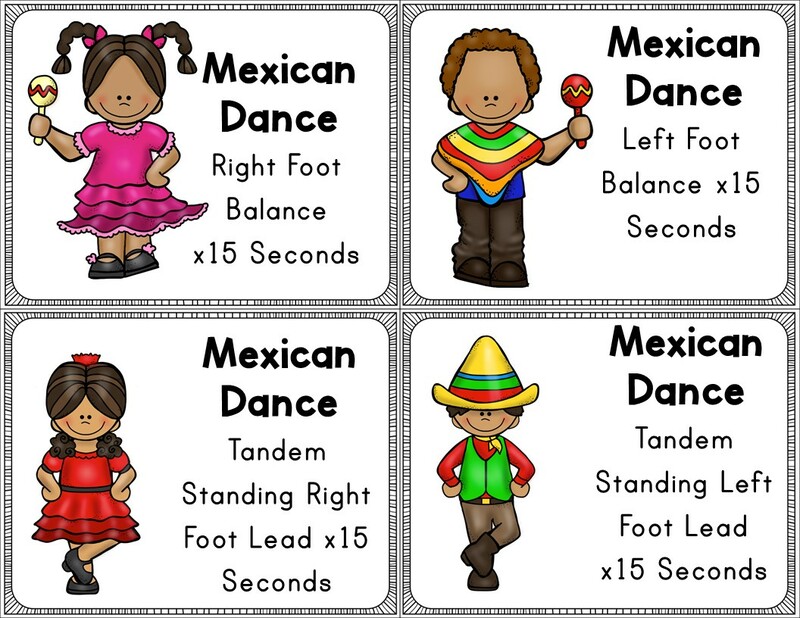 Cut out and laminate Cinco de Mayo movement cards and put them on a ring or use on a bulletin board. 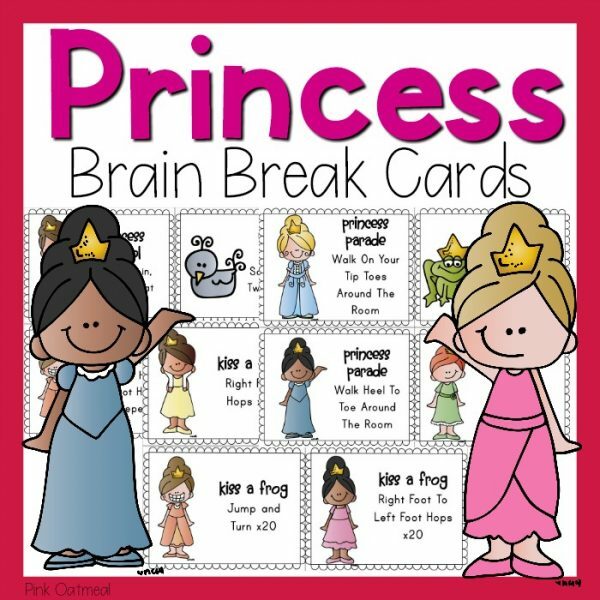 Quick, fast and effective brain breaks with most not last longer than a minute. Do as many as you’d like at a time! 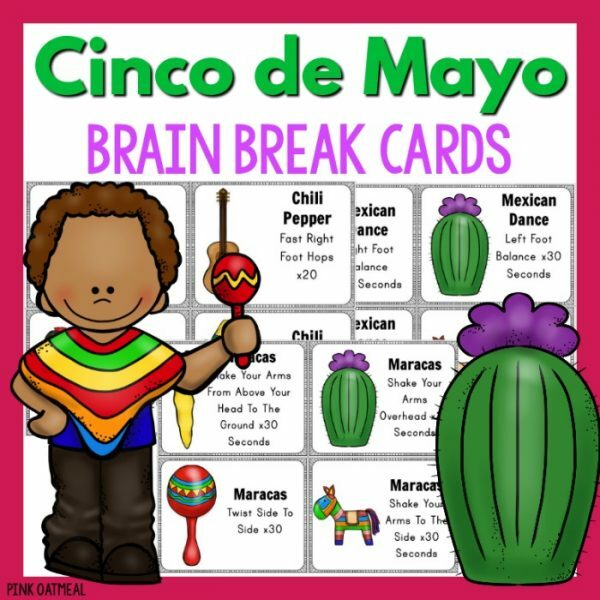 Anyone can use the Cinco de Mayo movement cards! 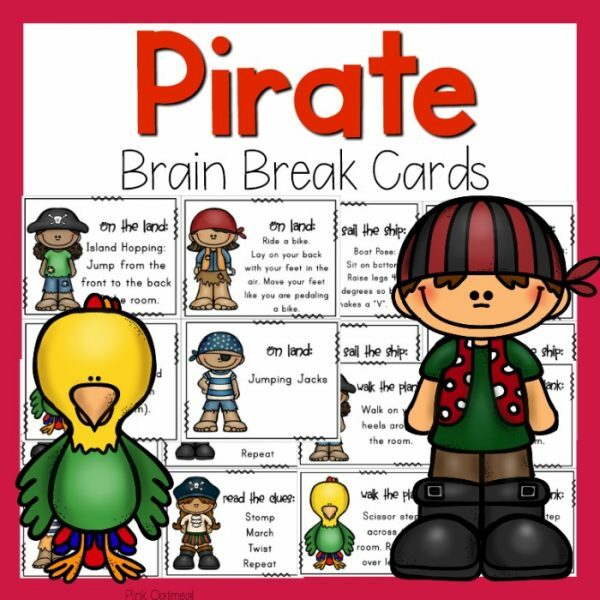 They are great for use in the regular classroom (centers, stations, morning meeting, brain breaks), special education room, occupational/physical therapy and physical education. 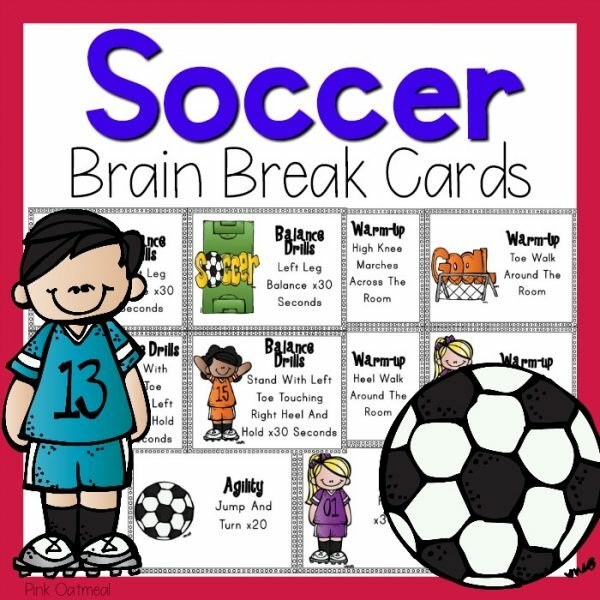 These are perfect for use during a morning meeting, when the class needs a break, physical education or during transitions. 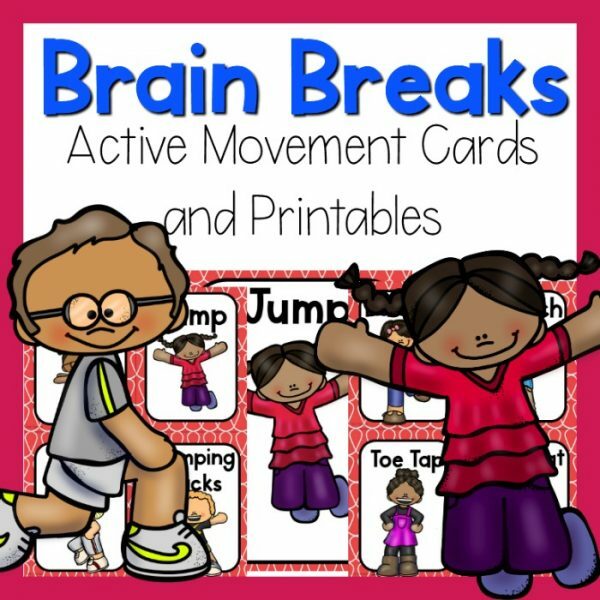 Use them whenever the kids need a break or need to move! 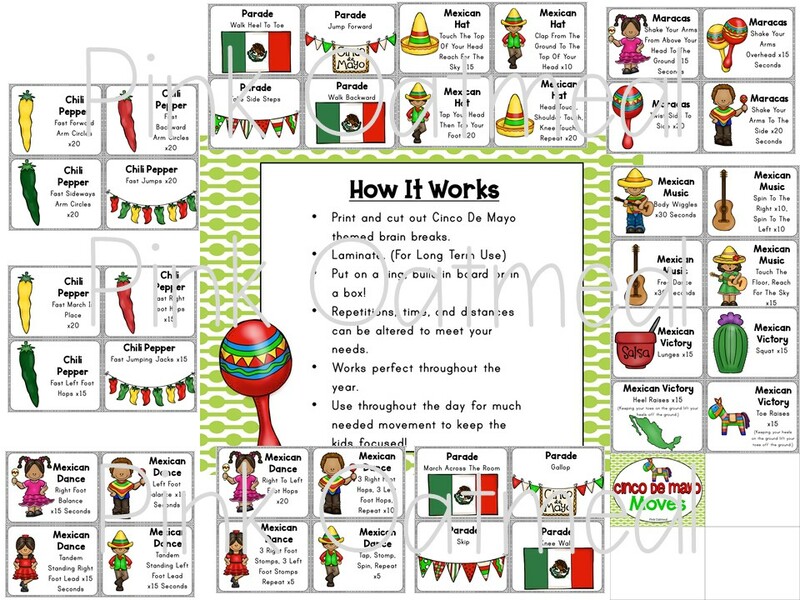 Use for a Cinco de Mayo celebration!